You need only to poll other prospective applicants to realize that applying to a PsyD degree program cannot be “boiled” down to a simple formula or fit together like a perfectly constructed puzzle. The equation may not balance out and one puzzle piece may not necessarily fit together with all the others. However, most PsyD programs focus on clinical training and are designed to prepare future psychologists to provide prevention/intervention, assessment, and treatment for patients presenting with a wide array of clinical conditions. While most programs offer students the option to pursue an area of specialization, some are limited to a specific patient population or treatment modality. The PsyD in School Psychology and the PsyD in School and Community Psychology are two such examples. Some specializations may be based on a clinical diagnosis or treatment protocol. • Why psychology for graduate-level studies? • Which degree am I leaning toward? Why? • What do I hope to do with this degree? • What are my 5-year and 10-year career expectations? • Is research my primary objective? • How and in what ways do my prior practicum/internship experiences match with the program in consideration? • Where and with which population do I want to work? Why? Will this program prepare me to work with this population? • What skills have I mastered that will position me for success in this field? Answers to these questions will serve as an excellent starting point which can be fine-tuned and expanded as you progress through the application process. Your candidate profile may well drive many of the decisions that you make along the way, up to and including which programs will best fit your needs as well as which admissions offers you accept. Keep in mind that you are not only finding programs that best fit your needs, but are seeking a program or programs where you will fit in best. A good strategy would be to start with the earlier referenced personal candidate profile. Review your answers to the questions posed. In other words, what are your professional goals and how will the graduate program in question position you to reach those objectives. Some even ask applicants to include such information in their graduate essays or statements of purpose. 2. What are the strengths and accomplishments that have prepared you for graduate psychology training in clinical psychology. What skills and knowledge, including academic preparation, research experience, and clinical experience, have prepared you for graduate school? Admissions committees want to be assured that you know where you are going and feel confident that graduate studies will help you get there. As you do your research, you will discover that programs are often named for the area of specialization: school psychology, community psychology, clinical psychology, school & community psychology, counseling. Clearly, you will not want to apply to a program in school psychology if, in fact, you have little to no interest in pursuing a career in this area. Dig deeper to determine “fit.” Review the course curriculum, review information on the teaching faculty including areas of research, clinical background, articles published, professional affiliations. Review the program’s clinical internship policies and partner sites. Peek at alumni success stories that are highlighted on program webpages. Now that you have narrowed down the list of schools/programs you can move to the next step— review each application and prepare the documents needed for successful submission. I suggest that applicants prepare individual resource folders for each program with relevant admissions information, application deadlines, notes about campus visits, phone and email outreach, conversations with faculty, current students, alumni as well as a bulleted list of required application documents: test scores, letters of recommendations, essays (with word and/or character count if relevant), writing samples, CV/Resume. • Applications. While the application format will also vary from program to program, all programs require an application. 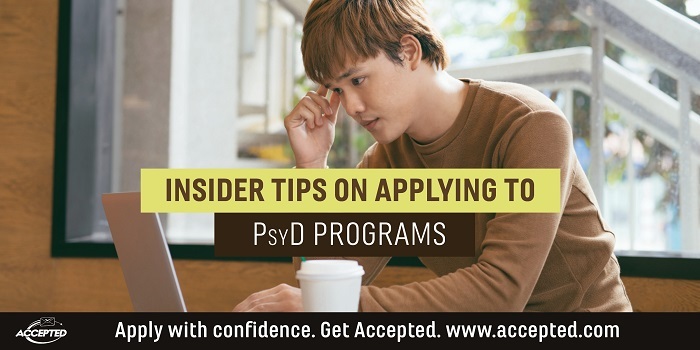 Some programs require applicants to use the APA Centralized Application System (PSYCAS). 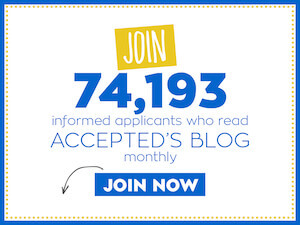 Individual programs will also request supplemental essays from interested applicants. Receiving a secondary or supplemental application indicates that you may have met the preliminary criteria for the program and they now need to know more about you. Some programs use their own stand-alone online applications. Others may request the PSYCAS application PLUS a School-specific application. • Undergraduate/Graduate (if applicable) transcripts from all schools attended (college courses taken in last year of high school, summer classes outside of the home school, online and courses abroad, courses as a part of an Associate degree in a local community college, etc.). If in doubt, feel free to contact either the graduate program director or the office of graduate admissions as they regularly answer application-type questions. • GPA Requirements. While most graduate programs require a minimum of a 3.0 overall GPA, the top PsyD programs are far more selective. They not only review the overall GPA, but carefully consider the grades received in courses like abnormal psychology, statistics, research methods, adolescent and child psychology, personality theory, as well as other upper-level psychology courses. For example, the University of Denver is looking for a 3.5 undergraduate GPA and, if applicable, a 3.0 graduate GPA. Some programs require a far higher GPA in the major course of study (for example –overall 3.0—- major 3.6). The rationale for this is based on both the competitive nature of PsyD programs and the critical need to accept students who are not only committed to their studies but are able to handle the doctoral-level curriculum. Attrition and completion rates are regularly monitored by APA accredited PsyD programs. Earning A’s in the more advanced psychology courses is often a prime indicator to determine applicant competence. To “stand out” some students take a few graduate-level psychology courses prior to application submission and earn A’s to show that they are more than ready to begin their PsyD studies. Even more telling is the comparative admissions data for each program. For example, the Indiana University of Pennsylvania requires an overall GPA of 3.0 but the accepted pool over the last 5-7 years had an average undergraduate GPA of between 3.5 and 3.7. Take the time to review, if available, the admissions data on applicants who have been accepted in the last admissions cycle. For example, the Palo Alto University/Stanford PsyD Consortium seeks to attract and accept students who exhibit academic achievement with at least an undergraduate grade-point average of 3.3 and a graduate grade-point average of a 3.5. The 2017/2018 accepted cohort for the St. John’s University School Psychology PsyD program had an average undergraduate grade-point average of 3.60. Baylor University’s PsyD program which is one of the top in the country lists the minimum overall GPA at 2.7 and the minimum major GPA at 3.0. However, the average scores for the newest incoming class was 3.78 GPA. Some applicants with low undergraduate GPA’s might want to consider strengthening their application by obtaining a master’s degree with a strong graduate school GPA prior to applying to the PsyD program. • Standardized Test Scores. Most PsyD programs will require that applicants take the general GRE exam. It is worthy to note, however, that some programs also require that applicants take the GRE Psychology subject examination and others have the Psychology Subject test as optional. And then there are others like the Palo Alto University/Stanford PsyD Consortium program that clearly articulates that the Psychology subject exam test scores are highly valued but not required. The University of Denver will, as an example, allow applicants to meet the psychology prerequisite either through coursework or by obtaining a score of at least a 660 on the psychology subject test. Since the Psychology subject test is only administered 2 times a year (April and December), make sure that you sign up well in advance of the application deadline. Late test scores will not factor into candidate selection. Most programs indicate minimum GRE scores as a total of the verbal and quantitative sections and require a minimum (with a few exceptions) score of 300 (quantitative and verbal). If your GRE score is less than a 300, you may want to consider strengthening your preparation and retaking the exam. Some programs provide a more detailed breakdown of those who are accepted into their PsyD programs. St. John’s University lists the average and median scores for all 2017/2018 applicants as GRE Verbal—average score 155.33, median score 154, GRE Quantitative— average score 151.07, median score 154, Analytical Writing— average score 4.4, median score 4.5. Indiana University of Pennsylvania lists the minimum GRE score at 290(quant. plus verbal). However, the average for those accepted is 315 (160 verbal, 155 quantitative). If you are an international student, you will be required to take the TOEFL exam to fulfill the English language requirement. Although minimum scores vary, a score of 100 or higher will satisfy most schools’ minimum score requirements. Some schools accept the IELTS exam results. Some are seeking a 7 or higher IELTS and some an 8 or higher. Determine which tests are required by reviewing the admissions requirements listed on the program’s webpage. Some programs will waive the English Language requirement if you have already earned a degree from a U.S. college or university or an institution where all courses are taught in English (UK, Australia, etc.). • Statement of Purpose. This should include a clear, well stated overview of your educational and professional (if relevant) journey. Prepare with due consideration given to the specific program’s mission statement (if they have one) and/or the academic and professional outcomes. Some programs will request that you answer specific essay prompts. If the program has asked you to respond to a specific question, make sure that what you write does, in fact, answer the question posed. I suggest that you do some role playing. Pretend that you are sitting on an admissions committee and are reading the answers to essay prompts. Then carefully analyze whether the question posed was, in fact, answered. Make sure that you stay within any word and/or character limits and follow any other special instructions. Not following directions is a clear-cut deal breaker. The Statement of purpose is your opportunity to let the admissions committee get to know who you are, and what motivates and inspires you. Of course, your goal is to highlight your strengths, share your short and long-term career goals, and let the committee know not only your expectations of the program, but what you will contribute. Your story should be constructed with an attention getting (in a positive sense) opening, well-constructed middle and a closing that brings the committee full circle by relating back to the beginning. Be very specific in terms of why you want to attend this particular PsyD program. Discuss the courses that you anticipate taking, the professors with whom you hope to work (based on a shared research interest), student group participation, clinical practicum/internships, etc. Do the research so that this does not appear to be a generic template. Refer to specific course offerings, practicum sites, names of faculty and even some of their research publications. Make it personal. Let them know that you know who they are and want to be a part of it all. • Resume. Not every program requires a resume/CV, but if they do, make sure that you carefully consider what you include and the order of the inclusion. Always consider the “audience” you are addressing and custom design the resume to include the qualities and skills that will make the greatest impact. Try to keep it to one page and arrange it so that the reader can scan through and quickly get a synapsis of your education, publications (if you have any), certifications, affiliations, related work experience, community service, practicum/internships, accomplishments, special skills, etc. Highlight any paid or volunteer experience you have had in providing services to clients having emotional, behavioral, or developmental disorders as this will be a real asset. Describe using words like, managed, coordinated, led a team that, collaborated on, organized. In other words, use active rather than passive language. • Letters of Recommendation. The number and type required by individual programs may vary. However, most programs require 3 letters from individuals who know the applicant and can speak to the applicant’s ability and/or potential for rigorous graduate study, clinical work, and/or research. Most will recommend that, whenever possible, you seek recommendations from faculty members in psychology, or practicing professionals in psychology or other mental health disciplines. You may want to provide your recommender with a “one sheet” listing some of your achievements as they relate to graduate study. When I have been asked to write a reference for one of my undergraduate students, I always ask them for a resume and a sheet with some highlights that I may want to refer to when I am writing the letter. Don’t force it on the recommender. Just let them know you have one and ask if they would like to have a copy. If a recommender hesitates, do not force the issue. Your goal is to get recommendations that shine a spotlight on your assets, achievements and strengths. Now you are ready to develop a competitive, compelling application for PsyD programs. You can realize your goal with careful preparation, attention to detail, thoughtful organization, and excellent time management skills. Start early and allocate the time needed to take the standardized tests, write a memorable essay, arrange for delivery of academic transcripts, prepare a great resume, and seek out and provide recommenders with appropriate information so they can submit stellar letters in a timely manner. However you organize your time, make sure that you carefully reflect on each component of the application. Many applicants find it helpful to talk through the process with an objective and interested listener who can help strategize and organize the SOP and resume, choose appropriate recommenders and even provide interview assistance. To get help from my Accepted colleagues or me, check out Accepted’s Doctoral Application Packages now. • Can an Admissions Consultant Help You Succeed?